If a patient with a foreign language requirement also has visual impairment then a printer that can print to A4 should be selected from the available printer options. The pdf image should be set to fit and will now be printed to A4 size. 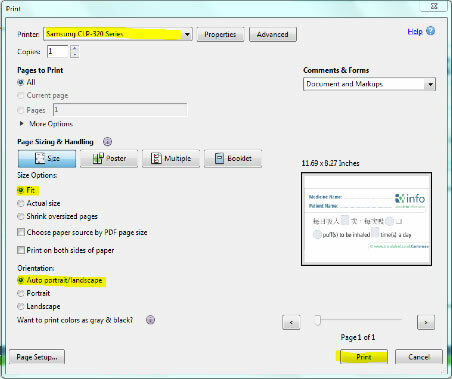 If a pdf reader is not available on your computer it can be downloaded from Adobe using the following link: http://get.adobe.com/uk/reader/ [you may require IT permission to visit and download from internet sites].